This is Becca, my daughters Elle Woods Custom Birdie Blue SBL commissioned 3 years ago. Becca is a very special girl you see my daughter won her at our very 1st Blythe meet in a contest. My daughter adored Ell Woods Custom Blythes and asked her personally if she would be willing to customized her newly acquired Blythe and Lindsey who was so sweet to her agreed. Lindsey worked with my daughter asking her everything she wanted her Birdie Blue to look like and Becca was born. Becca has a Cashmere Mohair Skinnyscalp by Unicorn Mine and hand painted eye chips by G. Baby. Little Leon is a very special girl to me, she is a custom Blythe by Lunita. 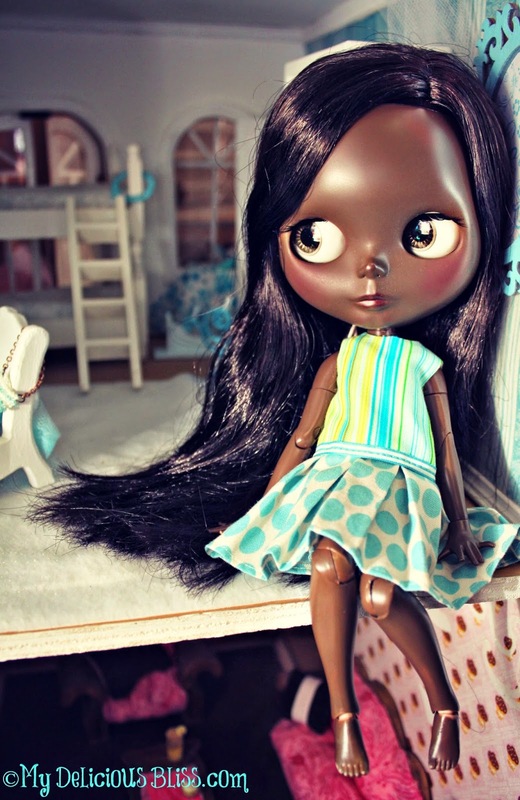 Lunita's Customs inspired me to create my own custom Beautiful Brown Blythes'. Her Blythes' of color looks so different than the few others I had seen in the community. Her customs were so beautiful, soft and feminine, not at all offensive or exaggerated in any way. She just celebrated the darker skin tone on her girls and enhanced their beauty with a simplistic approach to carving, hair style and color. I appreciated what she created and reached out to her and she was always ton try sweet and helpful to me. 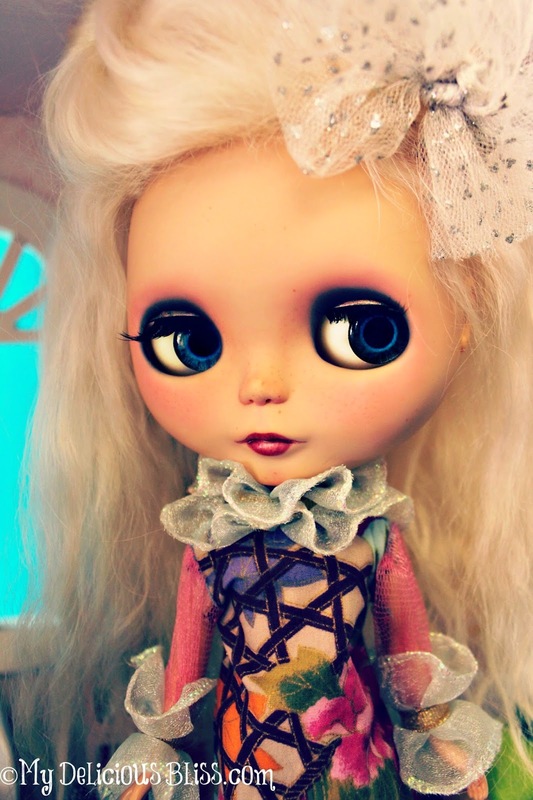 Lunita no longer creates Blythe of Color so I am so happy to be able to have this little one in my own collection.